New on-the-spot fines that mean drivers can get tickets for offences including tailgating have now gone live. 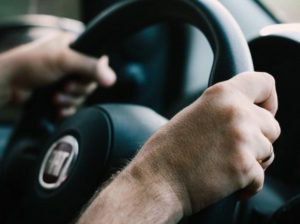 The new rules, first announced in June, will see the introduction of a £100 fine for a wide range of careless driving offences including tailgating and middle lane hogging. In addition, existing fixed penalty levels for most motoring offences – including using a mobile phone at the wheel and not wearing a seatbelt – rise to £100 to bring them into line with the penalties for similar non-motoring fixed penalties. Meanwhile the current fixed penalty for driving without insurance rises from £200 to £300. In addition, most serious offences will continue to be sent to court, where offenders may face higher penalties. The move has been met with a mixed reaction from road safety charity the IAM (Institute of Advanced Motorists).